Munkavédelem - Direct Safety System Kft. Consultancy on occupational health and safety is a key service of our company. Our occupational health and safety activities are carried out in SME as well as multinational settings. 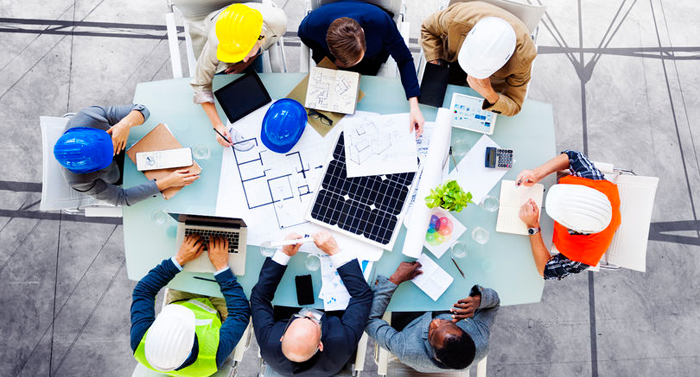 Our line of business in construction coordination has been growing at a remarkable pace. Conducting a hazards and risks assessment is a legal obligation of the employer. As part of this process, taking all factors into account we identify potential hazards and risks and prepare an action plan. We duly conduct the hazards and risks assessment of the following: work environment, work processes, machines, equipment, dangerous substances, psychosocial aspects and exposure of workers to artificial optical radiation. 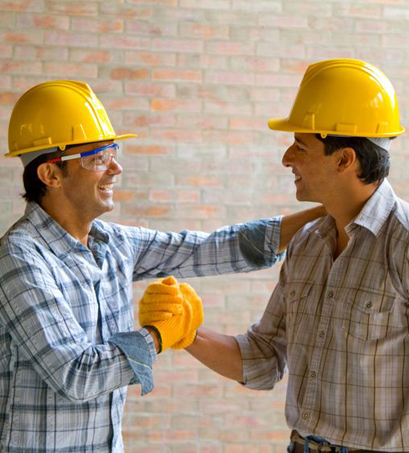 At construction workplaces, where employees of multiple employers are working at the same time, coordination is essential for adequate collaboration. Coordination of work processes is regulated by the Joint Decree No. 4 of 2002 (20 February) by the Ministry of Social and Family Affairs and the Ministry of Health. In compliance with this requirement, we coordinate on site the activities of workers (subcontractors) to ensure health and safety. All users and operators shall conduct an occupational health and safety procedure in case of putting a dangerous machine in service as stipulated by the Decree No. 16 of 2008 by the Ministry of National Development and Economy. Our experienced team professionally completes the entire process, including the preliminary examination on occupational health and safety. Rules and regulations on occupational health and safety comply with the legal obligation of employers to issue written rules. At the same time, they provide employers with the opportunity to meet occupational health and safety requirements while the characteristics of their company are taken into consideration. To protect against hazards and effects detrimental to health as revealed during risks assessment, we identify suitable personal protective equipment. Before any activity starts on a new premise, we take care of communicating with the authorities, reporting and complying with the documentation requirements related to occupational health and safety. A rescue plan is drawn up to manage unusual circumstances that may occur at the workplace during work. On the one hand, it coordinates and plans the employer’s activity to eliminate a situation which occurred because of unusual circumstances. It defines solution methods and organisational instructions for such cases. On the other hand, its role is also to handle unexpected events occurring at workplaces during normal operation which carry a risk of the process getting out of control and therefore requiring immediate intervention. All affected people’s attention shall be raised to hazards and factors detrimental to health. With this in mind, we identify the necessary safety signs and put them to the most visible places. To maintain an adequate safety level of machines and comply with the law, we conduct periodic safety review and identify its frequency. Employees’ attention shall be raised to all hazards and effects detrimental to health occurring during work. They shall be familiarized how to prevent hazards, use their work tools and personal protective equipment in a safe manner, etc. To achieve this, during a quick assessment we discover the work conditions and based on our observations we hold the suitable training for your employees. Training first-aid personnel at work is not only a legal obligation, but it is also reassuring that on each shift there is a person who knows what to do and is even able to save life. With a view to this, we organize the necessary training for your employees. The frequency of medical examinations is stipulated by a specific legal act. Considering the work processes, characteristics of the employees and the law, we define the frequency of occupational health examinations and if needed, we organize the availability of occupational health services. If an accident happens to your employee at the workplace, you are obliged to investigate and report it. One of the reasons of this is to clarify for the authorities who is responsible for the accident. We professionally investigate and report accidents and prepare an action plan to prevent similar cases. We not only offer assistance to our clients, but after collecting the necessary information we also make the registration in the relevant system (so-called OSZIR) and list and report hazardous substances and combinations in line with the requirements set forth for occupational health and safety professionals in the Decree No. 44 of 2000 by the Ministry of Health. The inspectors of the National Labour Office are entitled to make unannounced occupational health and safety inspections on premises, in offices and work areas. In case of such visits, we provide on-site representation to our contracted partners because we are aware of the fact that 95% of annual fines happen when the occupational health and safety agent is not actively involved during site visits of the authorities. Legal counselling on occupational health and safety is a significant pillar of our company. From technical consultancy to labour law, we provide occupational health and safety crisis management to our partners in the areas of disputes related to occupational health and safety, managing work accidents and occupational harms. Collecting safety forms, preparing registry and making risk assessment of hazardous substances. Preparing safety analysis and report to prevent serious accidents related to dangerous substances.